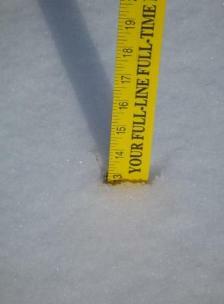 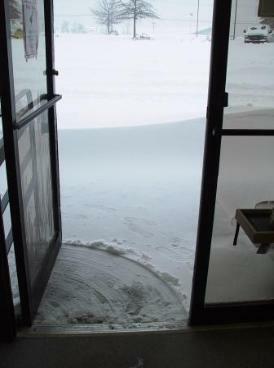 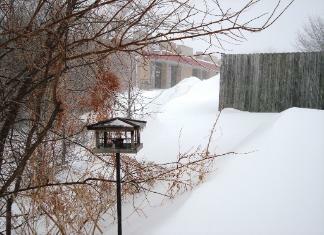 and then lots of "drifting"
Garden during the February 2011 Blizzard! 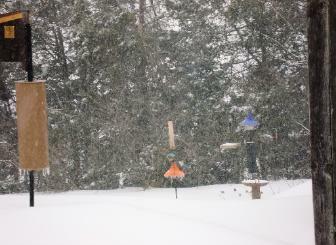 and the birds thank him!! 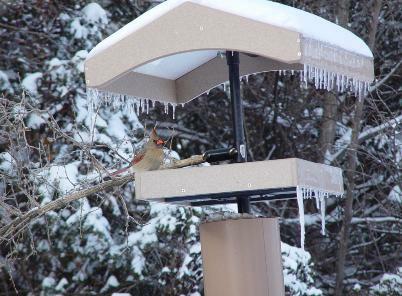 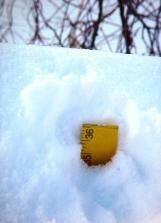 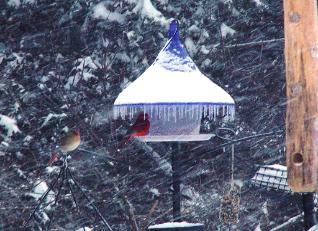 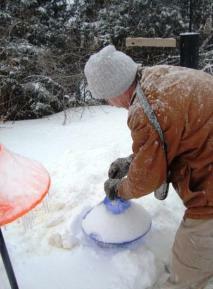 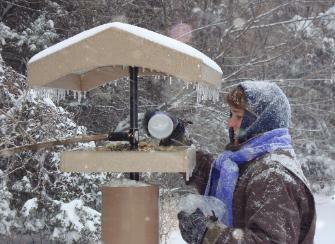 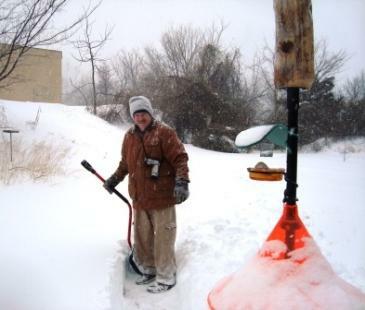 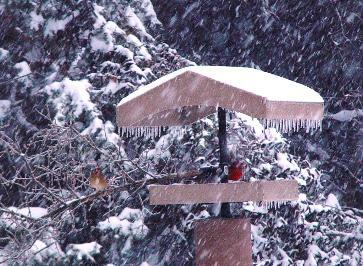 our favorite "weather proof" feeders! 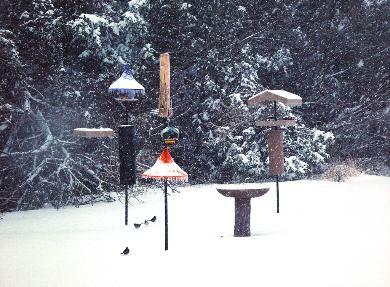 sparrows, and more flocked to the feeders & bath!